Former national security adviser Mike Flynn in the East Room of the White House in February. Mr. Flynn’s attorney, Robert Kelner, wouldn’t comment on details of his discussions involving Mr. Flynn, but noted he is a decorated Army veteran with a lifetime of public service. “General Flynn certainly has a story to tell, and he very much wants to tell it, should the circumstances permit,” Mr. Kelner said. Representatives for the FBI and Senate Intelligence Committee declined to comment. Officials with the House Intelligence Committee didn’t immediately respond to a request for comment. At a House Intelligence Committee hearing last week, Democratic lawmakers requested a copy of the security-clearance form that Mr. Flynn was required to file before joining Mr. Trump in the White House, to see if he disclosed sources of foreign income. And they have asked the Defense Department to investigate whether Mr. Flynn, a retired Army general, violated the Constitution’s emoluments clause by accepting money from RT, which U.S. intelligence officials say is part of a state-funded media apparatus, without authorization, according to a letter several Democratic lawmakers sent Secretary of Defense Jim Mattis in February. Mr. Kelner, Mr. Flynn’s attorney, decried the “unfounded allegations, outrageous claims of treason” and other charges by lawmakers and media commentators. “No reasonable person, who has the benefit of advice from counsel, would submit to questioning in such a highly politicized, witch-hunt environment without assurances against unfair prosecution,” he said. Congress and the executive branch have the power to grant immunity from prosecution in exchange for witness testimony or cooperation in an investigation. People granted immunity still can be prosecuted for perjury if they give false information. Traditionally, investigators grant immunity when they believe a witness’s information is important to the investigation and might not be able to be obtained otherwise. During the investigation of Hillary Clinton’s use of a private email server, the FBI granted limited forms of immunity to some of her aides. Mrs. Clinton wasn’t charged in the matter. A grant of immunity from Congress would require approval from two-thirds of the congressional committee requesting testimony or a majority vote in the full House or Senate. Congress would then need to notify the attorney general and get the approval of a district court judge. Mr. Flynn, 58 years old, also has drawn questions about whether he properly disclosed aspects of his work after he left military service. Earlier this month, Mr. Flynn filed registration forms acknowledging he had previously worked as a foreign agent on behalf of Turkish government interests. 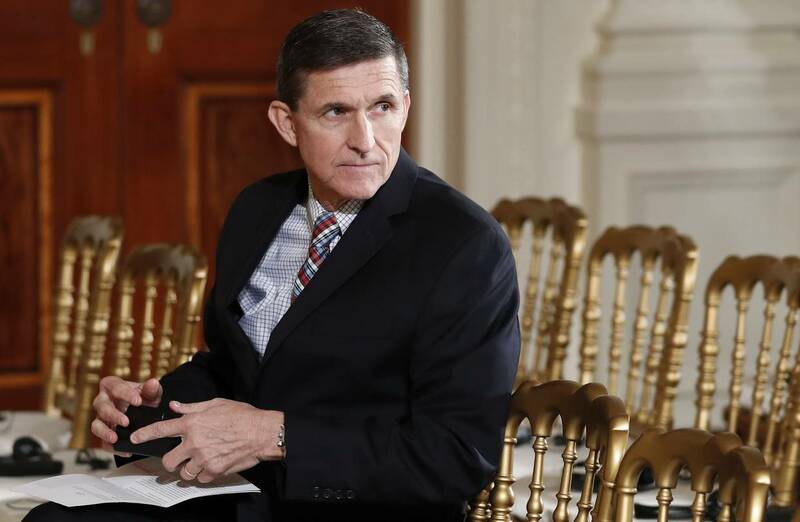 The Wall Street Journal reported that while serving as an adviser to the Trump campaign, Mr. Flynn met with top Turkish government ministers and discussed removing a Muslim cleric from the U.S. and taking him to Turkey, according to former Central Intelligence Agency Director James Woolsey, who attended, and others who were briefed on the meeting. The Turkish government has accused the cleric of being behind an attempted coup last year. investigation by the FBI, according to the current and former U.S. officials. The other three—former Trump campaign manager Paul Manafort and former Trump advisers Roger Stone and Carter Page—all have volunteered to speak to the House and Senate committees and haven’t asked for immunity from prosecution, according to the individuals, committee officials and representatives for the individuals. —Aruna Viswanatha and Byron Tau contributed to this article. Appeared in the Mar. 31, 2017, print edition as 'Flynn Offers Deal For Testimony In Exchange For Immunity"
I've been saying for weeks now that as the rats jump ship they'll turn on each other seeking immunity, witness protection, and relocation. As a result, you ain't seen nuthin' yet! Looks like the times of a typical lead-up that inspires some sort of fascUSt false-flag boogeyman exercise that affords some breathing room (ie, time not in the headlines) for the guilty as the nation's attention is drawn away from them, away from the guilty. Flynn might be wise to plan a long sojourn in Russia along the same vein as Snowden. Flynn and Snowden could certainly be entitled to enjoy one another's company beyond the annoyance of being deemed a criminal by the prevailing mentality that has demonized Snowden as it is likely to demonize Flynn if he seeks asylum in Russia, or China or somewhere beyond U.S. occupation. @moki; If granted immunity Flynn will be able to to avoid Snowden's fate. Marilyn, as I have suggested, this is about following the money. However, you must keep in mind that this can all be a well planned and well executed diversion. This is an element of the danger in permitting one party or one person to gain such total control of all three branches of our government. The saving grace may well be that Trump and his cronies are too incompetent and too disorganized to pull off such an intricate diversionary scheme. Ron, Flynn's not going to be offered immunity anytime soon. If he chooses to stay in the U.S. he will be impelled by self-preservation to defend himself against all that will said about him whether given immunity or not, so why give him immunity? And Snowden’s fate is to be avoided? What fate is that for such a young person as him? He's learning a foreign language, lives in a society that doesn't want to prosecute him for alleged crimes against the state and he is deemed by millions of his own countrymen to be a brave, conscientious and truthful human being. Are you ready to say you are 100% certain that Snowden could not be elected U.S. President someday, even in abstentia? Your assertion that Snowden's fate is unenviable compared to your own fate makes me wonder why you don't more fully reveal to your readers the breadth, depth and accuracy of your prescience. "The saving grace may well be that Trump and his cronies are too incompetent and too disorganized to pull off such an intricate diversionary scheme. " Or looked at another way: Trump and his cronies are horridly competent and hellishly organized, they are merely wholly dysfuntional and, even among themselves, wholly untrustworthy. Who didn't know there'd be a new John Dean? @moki; "Trump and his cronies are horridly competent and hellishly organized, they are merely wholly dysfuntional and, even among themselves, wholly untrustworthy." Plausible, but I'll stand by incompetent and disorganized. Re Snowden's fate, what you say may be true however, my guess is that after all is said and done, Snowden would rather be back home. Thanks for the read and the contribution. @JW; A good many people here who seemed genuinely disinterested in the predictive capabilities of a crotchety old black guy. When I first began making the assertions and statements re immunity from prosecution being sought by the "rats jumping ship", not even you followed up with a comment expressing accord, assent, or agreement. By the way, I see Michael Flynn as being more like Oliver North of Iran-Contra infamy than a John Dean of the Watergate debacle. Who do you believe is next in line re a request for immunity from prosecution in exchange for testimony?